Like Mamoru Hosoda’s other films, Wolf Children is a lighthearted, feel-good movie. It’s a movie that begs to be called “charming” and “heartwarming.” Even more so than his previous films, this is a story about family while still holding on to his usual themes of growing up. I usually prefer darker and more adult fare, but luckily for for me Hosoda excels at making these family-friendly stories engaging. He’s crafted a wonderful cast of characters that are easy to love and care about. This time the story is focused less on growing up and more on raising children. Of course the two overlap, but in most coming-of-age stories the parents are off in the periphery. In Wolf Children the mother, Hana, is as much of a main character as anyone. The film follows her struggles to raise her two children, Ame and Yuki. The twist is that the kids’ father was half wolf, and so Ame and Yuki can change back and forth from human to wolf, leading to extra complications for Hana as she is also stuck raising the two children on her own. The ever-present risk of being discovered is the prevailing threat of the film. Hana has no idea what might happen if the neighbors discover her children are shape-changers, and she goes to extraordinary lengths to keep people from finding out, even giving birth in her apartment without a doctor. But with the neighbors complaining about her kids howling at the moon, the landlord threatening to evict her for having pets, and child service workers wondering why she’s never taken her kids to the hospital, Hana moves out to a rural area to raise Ame and Yuki away from other people and allow them to choose for themselves whether they want to live as wolves or humans. The film is handled with a deft and gentle approach, mixing in a healthy amount of humor to lighten the mood, such as when Yuki gets sick, and Hana stands on a corner trying to decide between a pediatric clinic and a veterinary clinic on opposite sides of the street. It captures, in a cheerful and loving way, the uncertainty of how to raise a child and the impossibility of keeping up with a rambunctious child while taking care of all of life’s necessities. Ame and Yuki aren’t left in the background, either. As they grow up, they face their own problems of fitting in at school and trying to hide their true nature. The two make choices about how they wish to live their lives, and the film captures their growth and changing personalities wonderfully. And if all this sounds kinda droll, don’t worry. Hosoda manages to keep things lively and entertaining. 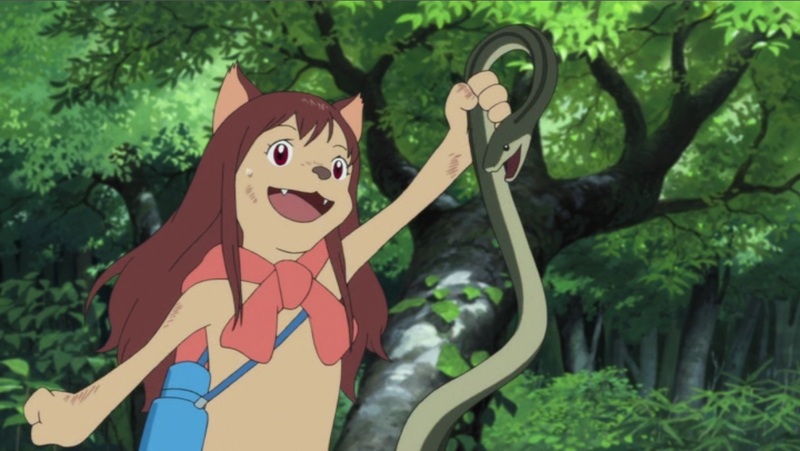 Wolf Children is sweet and endearing without degrading into boredom and monotony. If it could even keep me interested, I think just about anyone can enjoy this film. On the production side of things I was a little disappointed, though. The CG is grating to me, and honestly the animation is not all that impressive, but for all that the visual style of the film is lovely. I probably shouldn’t be complaining as it looks about the same as The Girl Who Leapt Through Time and Summer Wars, but I was hoping for some improvement as Hosoda’s career progressed. I guess I’ve been spoiled by Makoto Shinkai, whose films keep looking better and better every time. Wolf Children is Mamoru Hosoda doing what he does best. It is charming, and it is heartwarming, and I can’t think of a better anime film to celebrate Mother’s Day with. 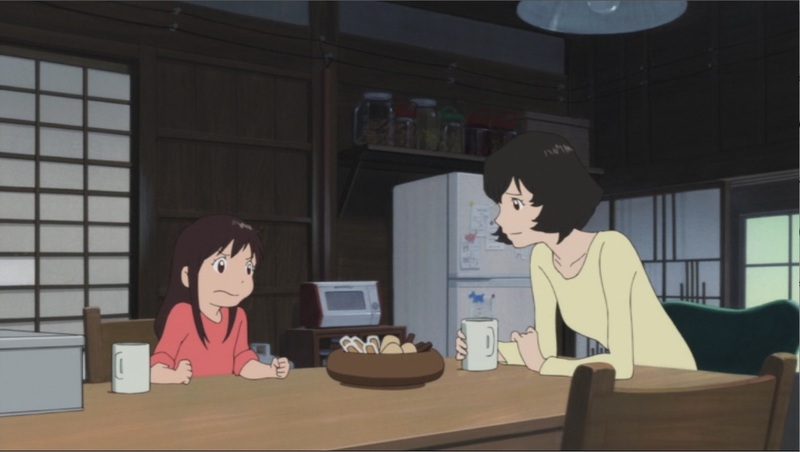 This is right up there with The Girl Who Leapt Through Time, and if we can just keep Hosoda from trying to write about computer programming that he doesn’t understand I think he’ll continue to make great family-oriented films.